Being a landlord is not an easy task. From finding the right tenants to maintaining your property, you need to handle all the tasks in an efficient manner. The foremost thing is to protect your property from accidents, fire, harsh weather conditions etc. That is why having a home insurance is important. Make sure you choose a reputed insurance provider who can cater to all your insurance needs. Whether you are a novice landlord or have years of experience renting your property, you should know certain things. Make sure your home insurance policy includes landlord coverage. It helps in protecting your property, equipment and other valuable assets in your rental property. It also provides coverage in case of loss of rental income. Landlord coverage also helps in dealing with legal liabilities in an efficient manner. It also covers the expenses including the legal lawsuits or medical bills in case the guests of your tenants get injured within the premises of your property. A landlord insurance will also cover the costs of replace the appliances that got damaged in the fire accidents or any other dangerous conditions. You need to know that there is a difference between renters insurance and the landlord insurance. Renters insurance will cover all of your tenant’s personal possessions and valuable assets. If you want to avoid any types of disputes or fights regarding your property, you must make sure your tenants buy the renters insurance before signing the final deal. This will help to give you peace of mind. Renters insurance covers personal belongings from natural disasters and calamities such as fire, smoke, water damage, windstorms etc. It also helps to provide protection against theft, burglary, vandalism etc. However, it is important to choose suitable renters insurance from a trustable and reliable insurance provider. Renters insurance includes additional living expenses. In the event a renter’s home would become inhabitable due to some sort of physical damage, renters insurance covers the cost of temporary living. This includes the cost of accommodation, food, and basic living charges. If a visitor or a guest became injured in a renter’s apartment, renters insurance protects from them the cost of the guest’s medical bills related to the injury. This can be quite beneficial. The renters insurance covers the legal costs if someone was accidentally injured or hurt in yoursrenter’s apartment. The liability coverage would pay for the extra cost. However, you need to choose the liability coverage limit at the time of buying renters insurance. Make sure the policy you purchase has the liability coverage. You should have complete knowledge about the insurance policy you are buying. The liability coverage provides protection against bodily injury and property damage. It also includes any type of legal costs incurred for the property including the court costs as well as settlement claims. Before renting your property, you should consult your insurance provider and notify them about the change in use of the property. This will help you add certain coverage options which were not required earlier. Most insurance providers will allow you to convert your insurance policy. How can you cut down your home insurance cost? You can cut down on your home insurance cost by making your home more secure. Most of the insurance providers offer various discounts on a safe and secure home as the chances of threats are low in this case. You should ask your insurance provider about other ways you can lower down your insurance cost so that you can buy the home insurance at the best price. 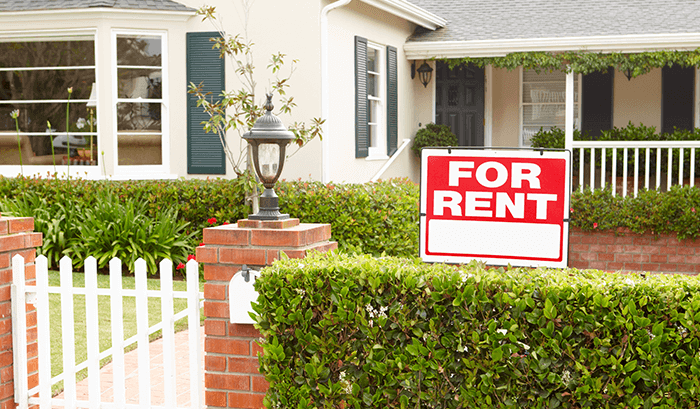 These were some of the things which you should know before renting out your property. This will help to make the correct decision regarding the insurance policy. If you are looking for a home insurance agency in Oxford, consider Alchemy Insurance Agency. Our professionals have complete knowledge about the latest policies provided by various insurance providers. That is why we can help you choose the most suitable insurance according to your requirements and budget.